1. Thead & Supply Wubby Fleece Pullover: This pullover looks so comfortable, and I've heard so many great things about it. New York winters are NO joke, and law schools don't necessarily splurge on heating the buildings. I can't wait to wear this in the fall on a chilly night or on days where I'm in the library studying! 2. Shiraleah Maxine Scarf: You know I have a huge obsession with scarves. 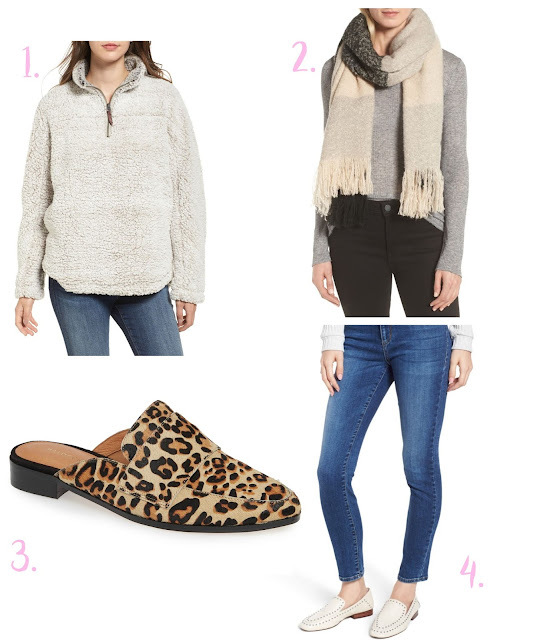 You can wear the most basic outfit and throw on a huge scarf and you instantly look like you're doing a model off duty look (which is my favorite). I like this one because its a bunch of different neutral tones and is oversized. 3. Halogen Violet Genuine Calf Hair Mule: I wore 2 pairs of mules last fall constantly. I fell in love with this style because they are so easy to put on but look way more put together than just sandals (and flats hurt my feet). Leopard is a neutral in my book so I HAD to get these. 4. STS Blue Emma High Waist Ankle Skinny Jeans: I'm always on the lookout for a great, flattering, high-waisted pair of jeans. I love my H&M ones, but over time they stretch and just aren't flattering. These are only $39 which is cheap (American Eagle jeans are over $50!). I'll report back on how I like them. Who am I? A 22 year old 1L who loves fashion and beauty. I post regularly about fashion, school, makeup, and my life! 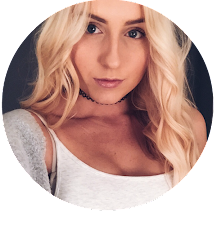 Click on the image to visit my Youtube page where I post Vlogs, makeup tutorials and more!